Be they red or white, the best wines of the Loire Valley tend to be croquant (crunchy) – combining high acidity with a subtle, refreshing herbaceous character. Most are relatively low in alcohol and – particularly when it comes to the reds – represent tremendous value for money. For these reasons, the Loire is my current go-to region for mid-week drinking. But the Loire shouldn’t be dismissed as a source only of simple, varietal wines with no scope for ageing – far from it. The reds listed below range from a bright, light-bodied, red-berry and floral-scented Chinon – best drunk in its first couple of years, lightly chilled – to a rich, tannic Bourgueil, which may take decades to reach its apogee. While this selection covers a broad range of styles, it features just two of the many red varietals grown in the Loire – Cabernet Franc and Pinot Noir. Gamay and Malbec (known locally as Côt) retain an important role here – and can be impressive in ripe vintages like ’17 and ’18. Wines from the seldom-seen Pinot d’Aunis are also worth seeking out. 2017 Chinon Rouge, Domaine de la Semellerie: Bright, fresh and varietal, this Cabernet Franc from Domaine de la Semellerie can’t fail to entice. Expect aromas of red berries, flowers and pencil shavings. Winemaker/proprietor Fabrice Delalande assembles a blend of fruit from parcels on low-lying clay soils and limestone soils on a southeast-facing slope: the former contributes structure – although this remains light-bodied – while the latter accounts for those fabulous aromatics. Drink now to 2020. 2016 Saumur-Champigny, Tradition, Clos des Cordeliers, Loire: From the relatively cool, classic 2016 vintage, the Tradition cuvée combines red and black berry fruit on the nose, as well as hints of violets and black pepper. The fruit for this wine (which is 100% Cabernet Franc) is grown on tuffeau limestone soils characteristic of Saumur and Vouvray, then raised exclusively in stainless steel. The palate is grippy and fresh, with a subtle leafy note to the finish. Young, this works brilliantly with cold cuts or hard cheese, but there’s no rush – it will develop gracefully in bottle for up to a decade. Drink now to 2028. 2014 Bourgueil, Cuvée Prestige, Domaine Lamé Delisle Boucard: This Cabernet Franc was aged for 14 months in enormous oak foudres which, winemaker Philippe Boucard proudly notes, are older than he is. The palate is impeccably balanced, with a touch of blue fruit as well as black. It can be broached now, double-decanted with the right dish, such as roast duck or game, but – like his foudres – Philippe’s Cuvée Prestige is built for the long haul: on a recent visit to the domaine, he uncorked a bottle of the ’64, which remained supple, fresh and flush with fruit. Drink now to 2029. 2016 St Nicolas de Bourgueil, Les Rouillères, Frédéric Mabileau: This comes from a vineyard with sandy gravel soils in the westernmost sector of the St Nicolas de Bourgueil appellation. 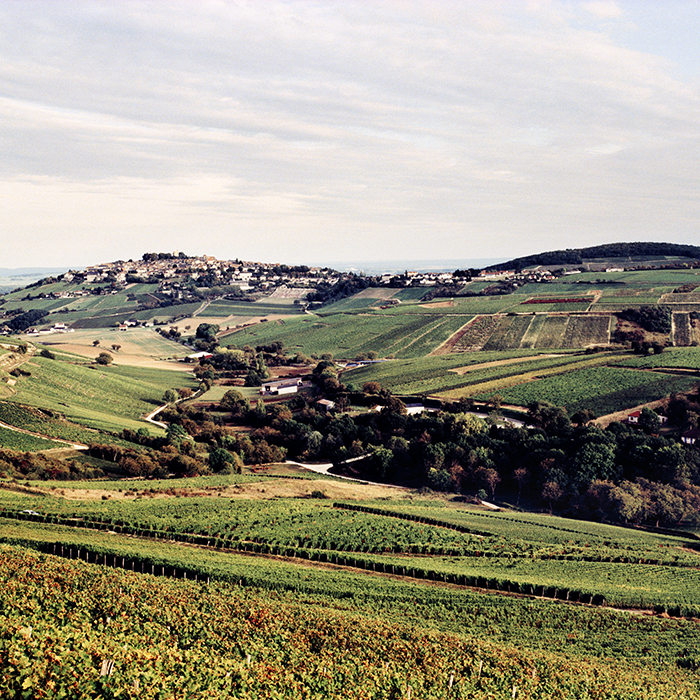 Les Rouillères is the one cuvée for which Frédéric retains a proportion of the stems of his Cabernet Franc berries. It’s then raised for four months in stainless steel tanks, to emphasise its bright, lifted aromas of red berry and black pepper. There’s real tension and energy on the palate – qualities we so often find in biodynamic wines – and fine, grippy tannins, which will have you reaching for a plate of charcuterie. Drink now to 2022. 2017 Reuilly Rouge, Les Pierres Plates, Denis Jamain: With its explosive red berry and floral aromas, this wine is a paean to Pinot Noir – and to the vineyard’s Kimmeridgian clay-limestone soils. The palate is fine-boned and exceptionally refreshing. Dénis chooses to raise his Pierres Plates rouge exclusively in stainless steel, before bottling early – in the spring following harvest – to lock in the acidity and bright primary fruit. A great match for salmon, white meat or charcuterie, not to mention meat or vegetable curries, serve it lightly chilled. Drink now to 2022. 2016 Sancerre Rouge, Les Epsailles, Domaine David Sautereau: The cheerful, hugely talented David Sautereau is among our favourite growers in Sancerre. His Pinot Noir is blended from parcels on three separate soil types, including sandy, iron-rich terres rouges which, David says, account for its fresh, mineral character. The nose is high-toned, with just a hint of varnish as well as all those delightful red berry aromas. A fifth is raised in used oak barrels to round out the tannins. This proved a stunning accompaniment to the magret de canard served by David’s wife Sandrine when we visited the domaine in February this year. Drink now to 2024. So can we buy just these six ? You can find our full range of Loire reds here.